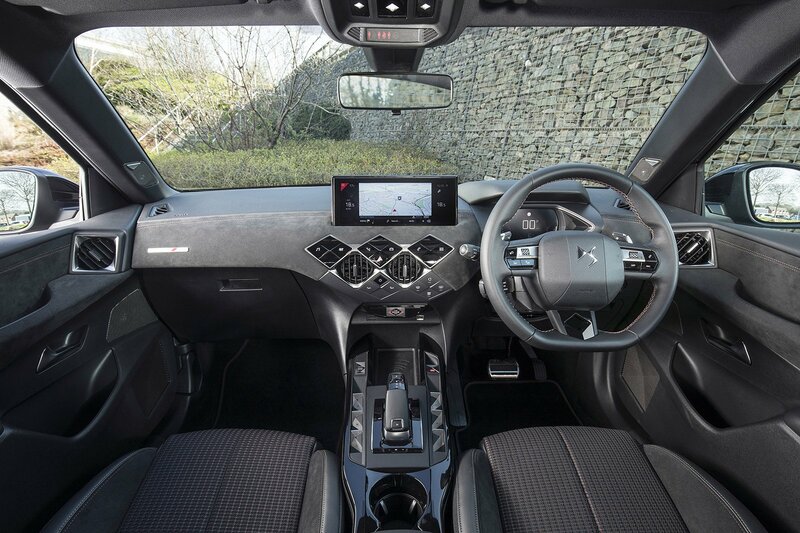 DS 3 Crossback Interior, Sat Nav, Dashboard | What Car? DS dug out all the mood boards when coming up with the interior concept for the 3 Crossback. 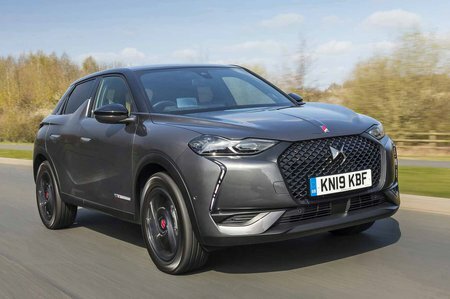 In fact, it’s been likened to a French boutique, a designer handbag and even the DS Auto Salons – ie, a showroom without an inflatable man on the forecourt. The extravagant exterior design is matched by a similarly striking interior. The dashboard has an unusual layout, adopting a tessellation of diamond-shaped touch-sensitive shortcut buttons and volume controls. Indeed, look around the interior and the diamond motif is everywhere, from the air vents to the speakers. Diamonds are a… yeah, you get it. However, it's a pain that most of the buttons aren’t mechanical, because they don’t click or move to let you know you’ve pressed them. In the end, they prove just as distracting and imprecise to use as a touchscreen while you’re driving. The infotainment system they control is a bit of a disappointment, too. It’s laggy in its response to touch inputs and is generally a bit fiddly to operate. The standard digital instrument display ahead of the driver is small but crisp, and can be customised to switch views between sat-nav or media system, for example. The materials used are a bit hit and miss. On upper trim levels, there are plenty of soft-touch materials around the dashboard, but these disappear abruptly as soon as you move down towards the glovebox. Window controls and the parking brake are housed around the gearstick, but are surrounded by silver-painted plastic that looks more like the bottom of a Ferrero Rocher packet then French premium design. Everything does feel pretty robust, but a far cry from the standards of the Audi Q2 or Mini Countryman. As for the driving position, there’s plenty of adjustment to help you get comfortable, and the plusher trims even get massaging seats and adjustable lumbar support. Room for your left leg is limited, though, due to a wide centre column. 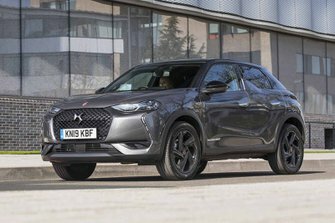 Visibility is okay, but the sloping roofline makes the view out of the rear a bit squinty, while rear parking sensors are standard and LED headlights with automatic high beam are available on higher trim levels.